Ubisoft is getting rather good at bringing its games back from the brink, and The Division is an excellent example of this. It may have taken a year or so, but the looter shooter is now unrecognisable from what players experienced when it launched in early 2016. Key PvP changes, greater build diversity, damage scaling, world tiers, and raid-like Incursions have helped resuscitate the game – one that had haemorrhaged players in the months after launch. 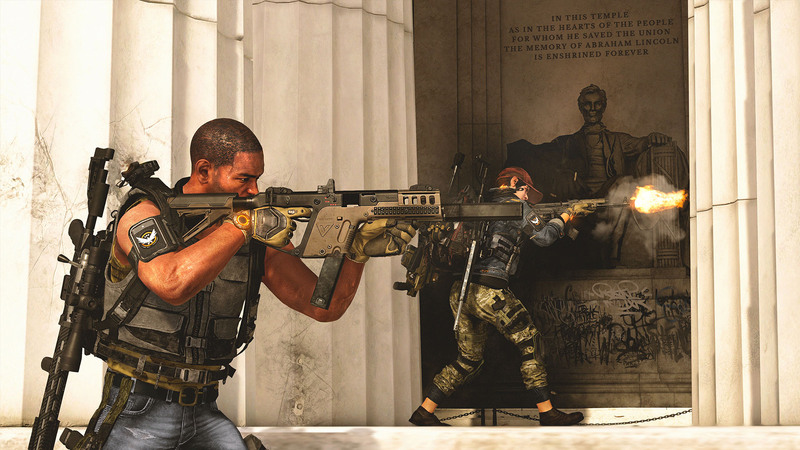 The Division 2 promises to take all of these learnings and build on them, so players will have plenty to do after reaching max level even outside of the PvP-oriented Dark Zones. On top of that, the core gameplay loop has been refined and tuned so that enemies are far less spongy, fights are frenetic, and you come out of each encounter with a few fresh pieces of gear equipped. 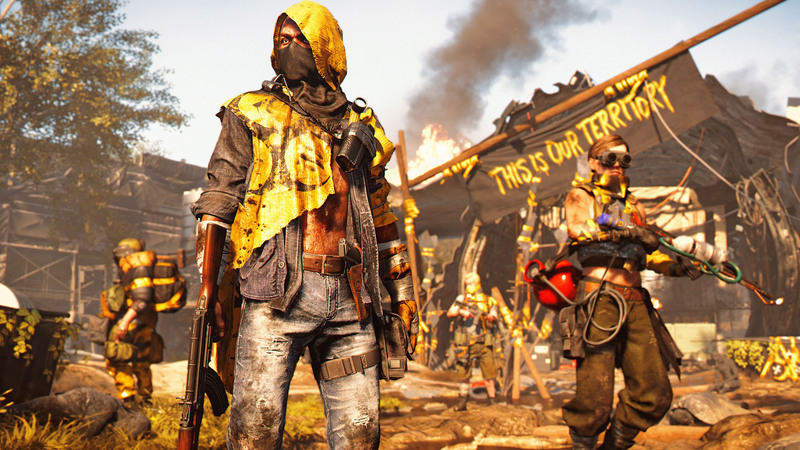 We got to the opportunity to spend five hours with The Division 2’s PvP and endgame ahead of the private beta – patrolling the open world, milling around settlements, and battling against the challenging endgame faction, the Black Tusks. Here are six things we loved about it. While the first Division improved in a lot of ways after launch, there was one thing Ubisoft and Massive Entertainment couldn’t fix – the drab colour palette of New York buried under a few feet of snow. Aside from the odd billboard and burning barrel, The Division’s depiction of Manhattan was a greyscale, urban affair: black tarmac, grey concrete buildings, and a white skyline. By contrast, The Division 2’s post-apocalyptic spin on Washington, D.C. is teeming with vibrant wildlife to admire or take potshots at. There are patches of greenery everywhere, offering different challenges when it comes to flanking enemies or finding cover, but also adding a much needed dash of colour to help break up the wide boulevards of white sandstone buildings. In more historic districts, red-brick buildings are engulfed by foliage, and ominous clouds of yellow gas drift through the humid streets. Then there are the mission locations, which see your squad scrapping for every inch of ground in real-world settings like the National Air and Space Museum, the Federal Triangle, and the National Archives. The National Air and Space Museum stole the show, with its tense and claustrophobic battle inside a planetarium.This was a laser light show in full swing, as armoured goons poured in from all directions and pieces of the ceiling collapsed to reveal additional snipers and grenadiers. 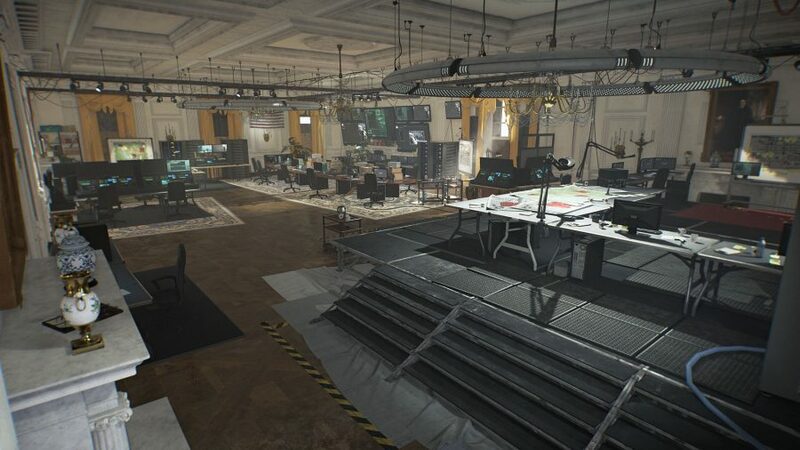 If the rest of The Division 2’s locations are even half as exciting as the five or six we played through, then repeating missions to grind for gear will be a breeze. 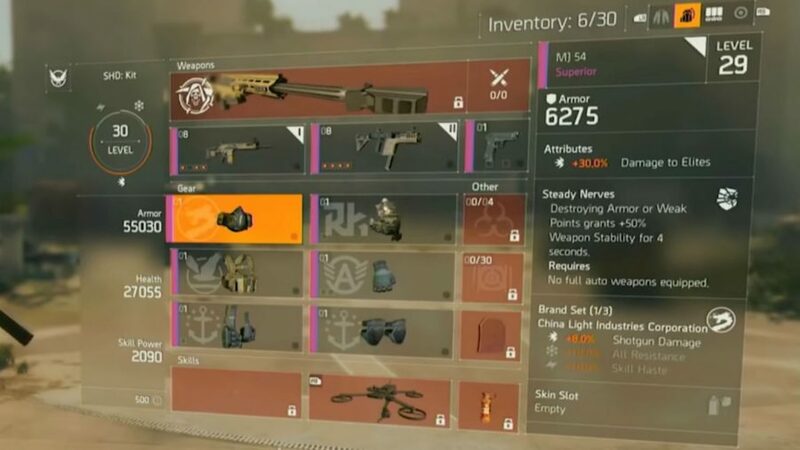 Opening up your inventory for the first time in The Division 2 is pretty overwhelming. There are a lot of numbers, the odd graph, countless symbols, and a few colours for good measure. However, by the time you’ve picked up your seventh pair of kneepads and you’ve got nine different primary weapons to choose between, having easy access to so much information becomes invaluable. Along the left side you’ve got your overall stats for Armour, Health, and Skill Power. The top slots are your equipped weapons, the nine below are dedicated to your six gear slots, and the three at the bottom show what skills you have equipped. Click on a gun and an information panel will populate the right-hand side of the screen, detailing its damage per shot, rounds per minute, magazine size, damage drop off, critical strike range, accuracy, stability, attachment slots, and reload time. When it comes to selecting new gear you simply enter the category, scroll through all of your items, and use the red or green indicators to compare it to what you’re currently using. OK, it might not sound simple, but it is in practice. Trust me. By the time you reach max level, every weapon will have several talents and each piece of gear will have mods, attributes, and a brand set – offering significant bonuses like headshot damage and or turret skill power depending on what brand your armour is and how many pieces from that brand you have equipped. It all makes choosing between loot even more confounding. Fortunately, the menus in The Division 2 do an excellent job of displaying top level information and granular details simultaneously, which should make it easier for all players to improve their character build on the fly. All of The Division 2’s factions provide new challenges for you to overcome. The Hyenas, for example, prefer to get up in your face, rushing you with melee grunts while the rest of the pack take up positions on your flanks. Left unchecked, they’ll overrun your squad. The True Sons are a lot more organised, opting to sit back and break your team down with snipers and grenadiers. They also boast better firepower and armour, meaning you’ll either have to aim for weak spots like equipment pouches, or simply pour more rounds into each goon to take them down. Factions have their own enemy archetypes, too, forcing you to always be looking out for new threats. Tanks are the most noticeable and require concentrated fire on specific body parts to break their armour and expose their squishy flesh. There are also a variety of rusher enemies across each of the factions, who will run at you wielding anything from batons to shotguns. Grenadiers are a highlight, not only because they focus your attention, but because you can use their surplus of explosives to your advantage – shooting their ammo bags and eliminating any foes close enough to be engulfed by the resultant fireworks. Then there are the Black Tusks, The Division 2’s endgame faction, whose ranks include an assortment of heavies, rushers, demolition experts, drone operators, standard grunts, and weaponised versions of the Boston Dynamics robots. I’ve only fought against a slim percentage of The Division 2’s enemy types, but each battle offered plenty of new challenges to overcome. 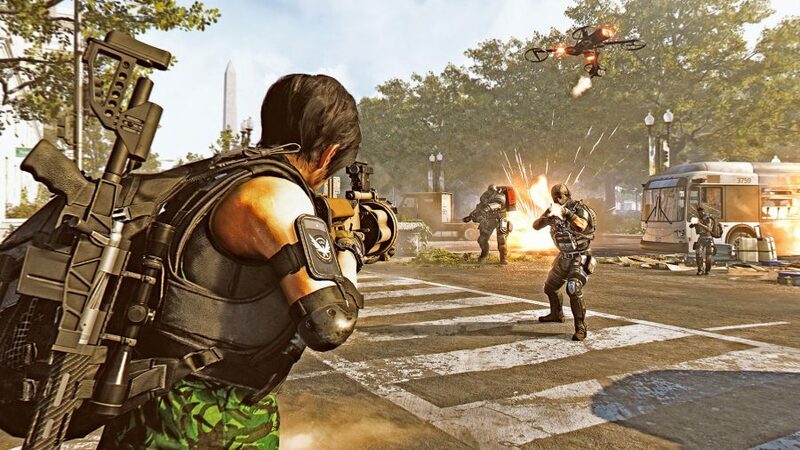 This is one area where the first Division game certainly wasn’t lacking, but The Division 2 heaps even more options on your plate when it comes to shaping your character build. Brand sets, for example, introduce you to the functionalities of set gear before endgame, and offer a lot of flexibility. With a total of six gear slots, there are a lot of bonuses available, whether you want to buff your close-quarters weapon damage, improve your critical hit chances, or make your skills more powerful. Likewise, endgame specialisations help flesh out progression after hitting max level, providing you with a few additional goals to aim for, not to mention some powerful items like signature weapons and skill mods. These aren’t exactly game-changing, but signature weapons pack a serious punch against tough enemies and there are some neat synergies related to each one. For example, the explosive-tipped crossbow is great for blowing heavy armour to shreds, so use it against an elite tank enemy to break off a chunk of their protection while a teammate readies a lethal sniper shot. The Division 2 definitely still has bullet sponge enemies, but they’re a rare occurrence. For the most part every foe, from melee rushers up to minigun-toting elites, will take a more realistic amount of bullets to kill, making them a great deal more satisfying to take down. However, it’s the changes to enemy armour that make the biggest difference to how spongy enemies feel. Come up against a heavy soldier and you’ll find that with enough damage their armour breaks off, one tiny fragment at a time. Underneath that armour these heavies are just as vulnerable as an ordinary soldier, making for a gratifying conclusion when, after a minute of shooting off armour fragments, you reduce the boss’s health in a flurry of bullets. Even against super heavy Black Tusk elites – which you’ll only encounter upon reaching endgame – it was possible for our squad to score one-hit kills after breaking off their helmets. All of this lends the action a sense of credibility, so that you’re no longer fighting drug addicts in hoodies who can absorb upwards of a 1,000 bullets before going down. While the build we played locked access to most of the game’s skills, one thing was still clear: playing Support in The Division 2 is a lot more useful than in the first game. 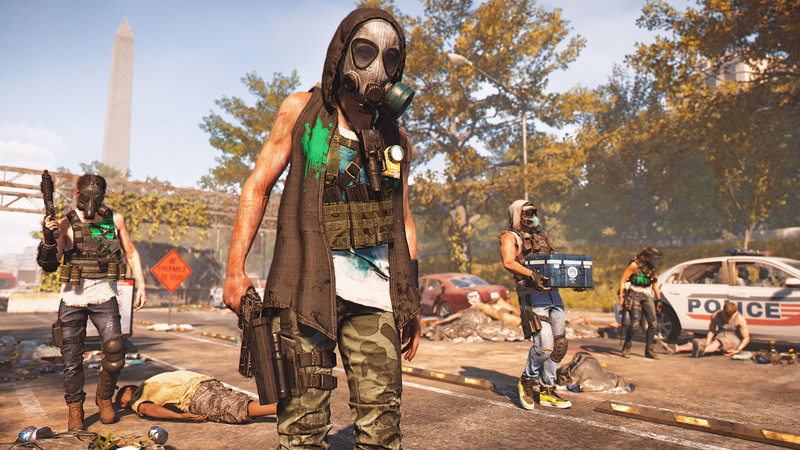 Changes to healing and armour mean you’ll have to take a more methodical approach when attacking in The Division 2, as you can’t instantly heal any more, and repairing your armour can take a couple of seconds. Having a Support build on your team speeds up this process drastically, allowing you to continually push enemies without having to pause to heal. Among the few skills that were unlocked in the private beta build, there were a solid number of options for repairing your team’s armour. Support skills are a great deal more mobile this time around, since the Fixer mod for the Drone skill and the Mender Seeker Mine are both capable of following teammates you assign them to. Using these, it’s possible to get your most damage-oriented squadmates charging into every battle, leaving you free to mop up stragglers or snipe from safety. One of our teammates happened upon a devastatingly powerful double-barrel shotgun, so we simply assigned our Support tech to them and let them wreak havoc on their own. Alternatively, we could have assigned the Defender Drone to them, which deflects incoming fire for a short period of time, therefore lending our shotgunner a brief taste of invulnerability. Of course you can use these skills selfishly as well, so playing Support isn’t always about letting your friends have all the fun.